Track Cars see incredible vibration and expansion/contraction of bolted assemblies. This causes fasteners to loose their torque and eventually fail. The old way of retaining fasteners was castle nuts with pins, lock washers, and safety wire. The new way is with chemical thread lockers. At 3DM Motorsport we use Loctite thread lockers on virtually every fastener in a racecar. 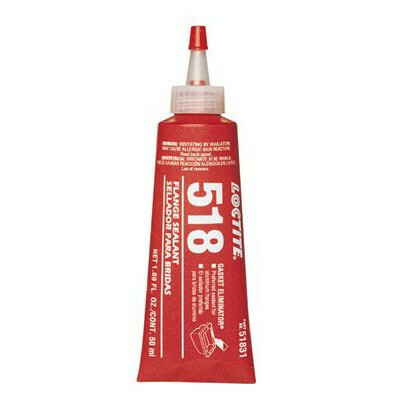 LOCTITE is the world’s leading brand for adhesives and sealants. In addition to thread locking, Loctite also performs multiple other functions. Loctite acts as a lubricant when torquing fasteners which ensures proper torque specifications are obtained. This is similar to the concept of oiling cylinder head and crank bolts before installation. 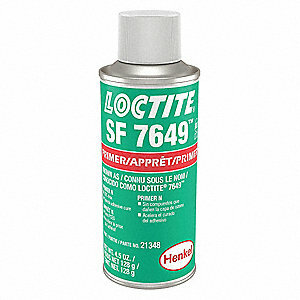 Loctite also acts like an anti seize. As the bolt is installed the loctite is distributed through all of the mictroscopic gaps in the threads. Once it cures it essentially seals the threads disallowing any moisture and oxygen to start the corrosion process. Click the image below to view the all of Loctite's available products and their uses on automobiles. You will find there are a lot of products available and it is not cost effective to have them all on hand. Below, we have put together a reference guide of the most common used products that we use when assembling racecars. Keeping these on hand won't break the bank and will cover 95% of all thread and flange sealing needs on your automobile. We typically use this compound on data sensor mounting hardware, dash display mounting hardware, body panel hardware, etc. This is by far the most commonly used thread locker and we keep a big bottle of this around. We used to keep the traditional Loctite 242 on hand but 243 accomplishes the same thing with the added benefit of higher oil resistance. No need to keep them both around. We use this on flywheel bolts and axle nuts. We used to keep the traditional 262 on hand but Loctite 263 accomplishes the same thing with the added benefit of higher oil resistance. Again, No need to keep them both around. We keep a bottle of this around for one purpose... wheel studs. Brakes get very hot and the heat transfers into the wheel hub where the studs are retained by Loctite. The added temperature resistance of Loctite 272 helps ensure we don't have wheels studs coming loose. This is for fasteners that are already installed as it "wicks" into the threads. We rarely if ever use this but it is nice to have on hand "just in case." This is a medium-strength, general purpose gasketing product with excellent contamination tolerance. Ideal for use on cast iron, steel and aluminum flanges such as differential covers, oil pans, thermostat housings, etc. This is designed to promote the curing speed of LOCTITE anaerobic adhesives and sealants without any significant loss of joint strength. We use this track-side and/or when a newly assembled fastener needs to be used immediately. If the material is an inactive metal or the cure speed is too slow, spray all threads with an activator such as LOCTITE 7649 and allow to dry. Shake the product thoroughly before use. To prevent the product from clogging in the nozzle, do not allow the tip to touch metal surfaces during application. For through holes, apply several drops of the product onto the bolt at the nut engagement area. For blind holes, apply several drops of the product down the internal threads to the bottom of the hole. Assemble and tighten as required. For Sealing Applications, apply a 360° bead of product to the leading threads of the male fitting, leaving the first thread free. Force the material into the threads to thoroughly fill the voids. For bigger threads and voids, adjust product amount accordingly and apply a 360° bead of product on the female threads also. Remove with standard hand tools.